Dallas is one step closer to having a trail system that links throughout the city. Circuit Trail Conservancy (CTC) has raised $23 million in private and non-city funds for The Loop, which would provide a contiguous 50-mile premier urban trail network encircling the core of Dallas. The Loop would serve as an alternative transportation system connecting existing and planned hike and bike trails, bus stops, DART lines, economic centers, and neighborhoods. CTC chairman Jeff Ellerman said in a release the system just needs a few tweaks. "Dallas has a plan for the Dallas Integrated Trail Circuit, which comprises nearly 130 miles of wonderful trails," he said. "The problem is this plan may take many years to complete, and our trails don't connect. What's missing are some key connectors to link these fragmented trail systems." They realized that, by adding four key connectors, the system could form a 50-mile loop around the center of Dallas, stretching from Richardson to White Rock Lake to South Dallas to West Dallas. CTC was tasked by the City of Dallas to raise at least $20 million that it would then match. The total cost of the project is $56 million. 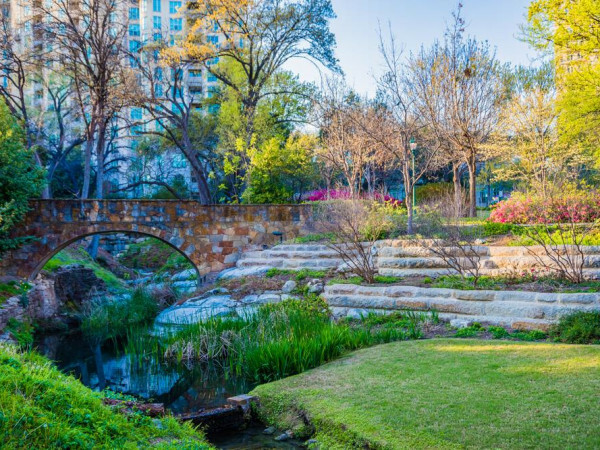 Over a decade ago, the City of Dallas set out to design and build a master trail system to link neighborhoods to transportation hubs and economic centers, making Dallas more livable and pedestrian friendly. The Hike and Bike Trail Network Master Plan has been adopted, and the Dallas Parks and Recreation Department (PARD) adopted the Dallas Integrated Trail Circuit plan (Dallas ITC). PARD then approved the public/private partnership strategy to complete Dallas ITC, and Circuit Trail Conservancy was formed to design, construct, and operate an integrated trail system, as well as raise funds to make the plans a reality. 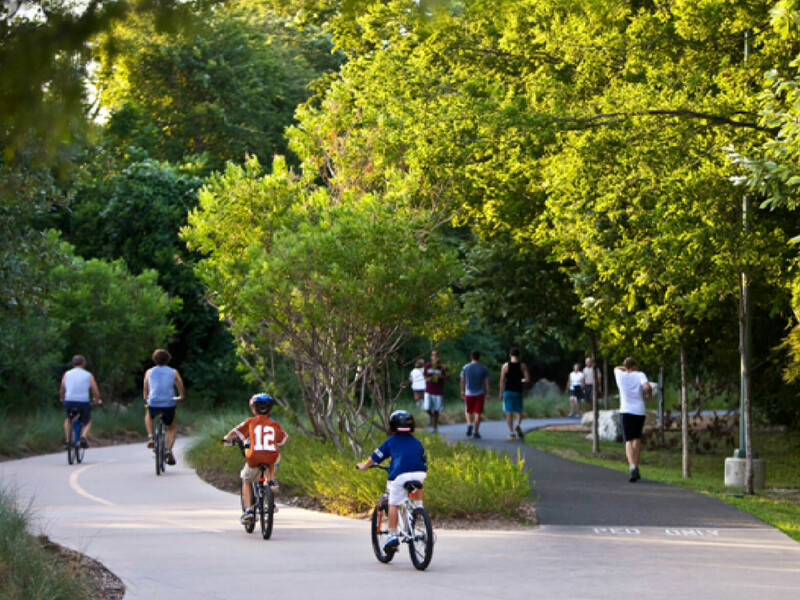 The Trinity Forest Spine Trail, about 8.7 miles long, connects White Rock Lake and East Dallas to South Dallas, all the way down to the Great Trinity Forest and to destinations there, including the Trinity River Audubon Center, Texas Horse Park, and the Trinity Forest Golf Course. Part of this path includes the existing Santa Fe Trail and the Joppa Connector Trail and the Trinity Forest Trail System. The Circuit Trail Connection Trail and Bridge, approximately 1 mile, connects the shared-use path and bridge structure between the Katy Trail to the Trinity Strand Trail. The Baker Pump Station Gateway is about a 1-mile shared-use path connecting the Trinity Strand Trail to the Trinity Skyline Trail. The Trinity Skyline Trail Link is about a 1-mile shared-use path connecting the existing Trinity River Skyline Trail to the Trinity River Audubon Center and Trinity Forest Trails. 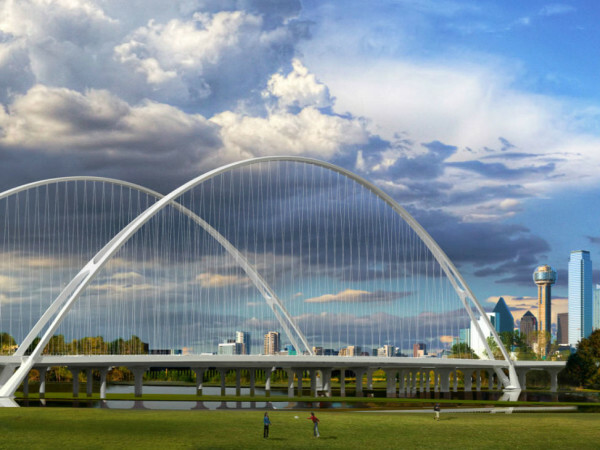 Mike Terry, a CTC board member, called The Loop "the next big, immediate project for Dallas." Fellow board member Larry Dale emphasized that there are no right-of-way issues involved, thus keeping the costs down. "Since we already have a lot of the trails built, let's connect what we already have," he said. CTC board members — chairman Jeff Ellerman, president Philip Henderson, Larry Dale, Linda Owen, Rick Perdue, Joseph Pitchford, and Mike Terry — contributed to the campaign. Additional supporters to date include Lydia and Bill Addy, Crow Family Holdings, Lawrence B. Dale Family Foundation, Hunt Realty Investments, Mary and Mike Terry, Gil Besing, Billingsley Family, Jane and Pat Bolin, Cecilia and Garrett Boone, Greg Colvin, Corrigan Family Holdings, Pam and Jeff Ellerman, Headington Companies, Jerry and Philip Henderson, Highland Capital Management, Rhonda and Jim Hoyt, Jordan Family Foundation, Diana and Todd Maclin, Bill and Patricia Miller, Muse Family Foundation, Linda Owen, Dee Ann and Marshall Payne, Jodi and Rick Perdue, Joseph Pitchford, Richardson Bike Mart, Carla and Woody Smith, and more.